Welcome to our beautiful, non-smoking, waterfront home on Lake Anna in Mineral, Virginia. If you're in the mood for a relaxing vacation, this is the place for you! Being just over 45 minutes from Richmond and 90 minutes from Washington DC, you're the perfect distance for a quick get-away so that you can spend your time relaxing (instead of traveling!). 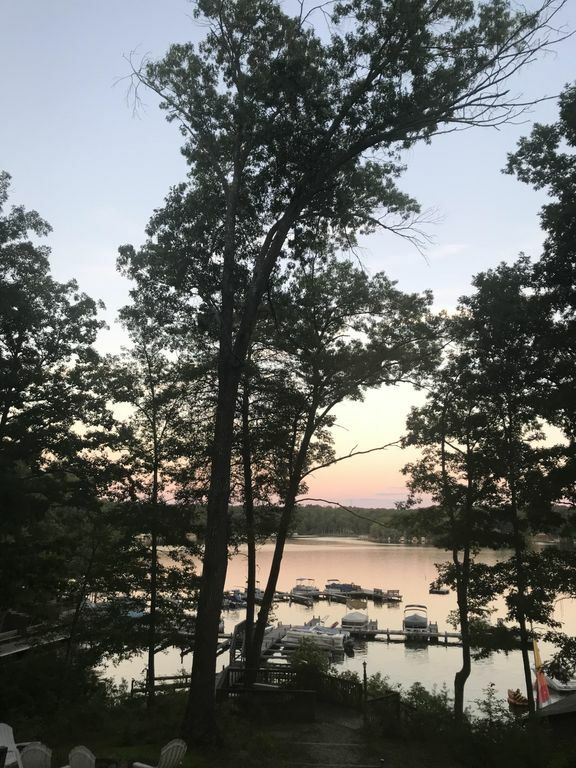 Lake Anna has the peaceful and serene atmosphere that will immediately put you at ease and make you feel a million miles away from your everyday, hectic life. THIS IS THE PERFECT PLACE TO TRULY RELAX! Situated on beautiful Lake Anna, this FIVE bedroom, three bath house has everything you will need for a relaxing vacation. - Over 3000 square feet of beautiful living space. - Huge decks overlooking the lake. We absolutely love the serene, peaceful feeling that we have EVERY time we are at the house. From the moment we bought the house, we felt like the lake just brings a sense of quiet relaxation that we all benefit from - and being able to see the lake from every room makes it all the more beautiful. Two living room areas- one upstairs, one downstairs, both with couches, flat screen TVs/DVD players. Cleaning fee included. Refundable Security Deposit ($500) required 45 days before vacation; it will be returned, upon satisfactory damage inspection, 7-14 days after tenancy.